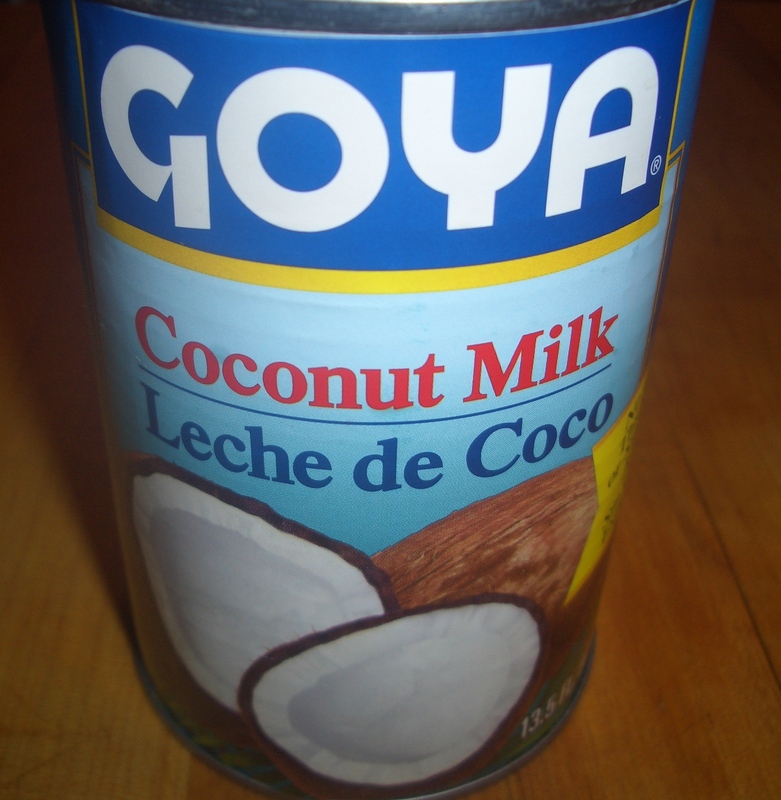 Why make your own coconut milk when it’s so easy to buy canned or in boxes? I have several reasons…first of which is I’m trying to avoid cans. I guess if you read enough stuff on the internet you can find that anything you use is harmful to your health, but I’ve decided to buy into the “bad stuff from cans leach into the food” theory. The coconut milk in boxes have ingredients other than coconut and water; like gums and most importantly carrageenan – I have no idea what that is, but I’ve read it’s not good for you. 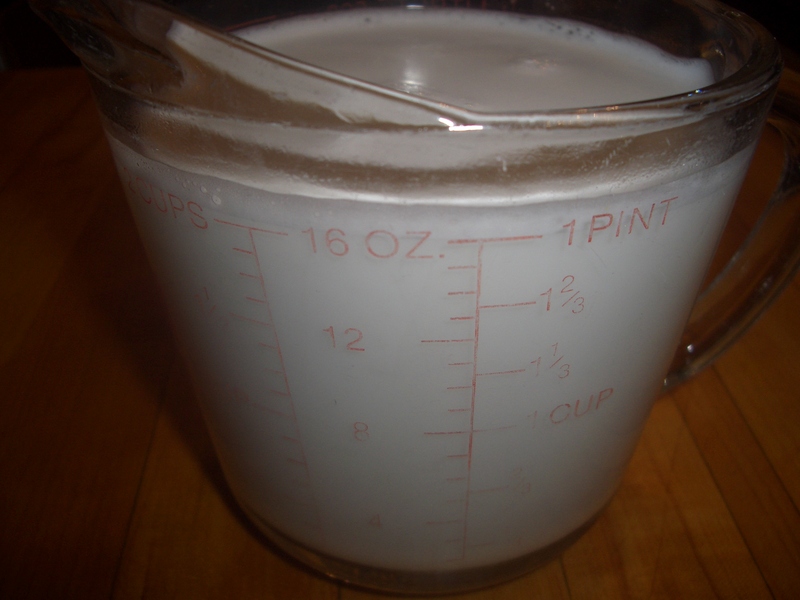 water, a blender, a strainer, a spoon or soft spatula, and a container to store the coconut milk. The fact is, it takes less than 10 minutes to make; you know what’s in it; and it’s much less expensive than canned or boxed. To me this is a no brainer. 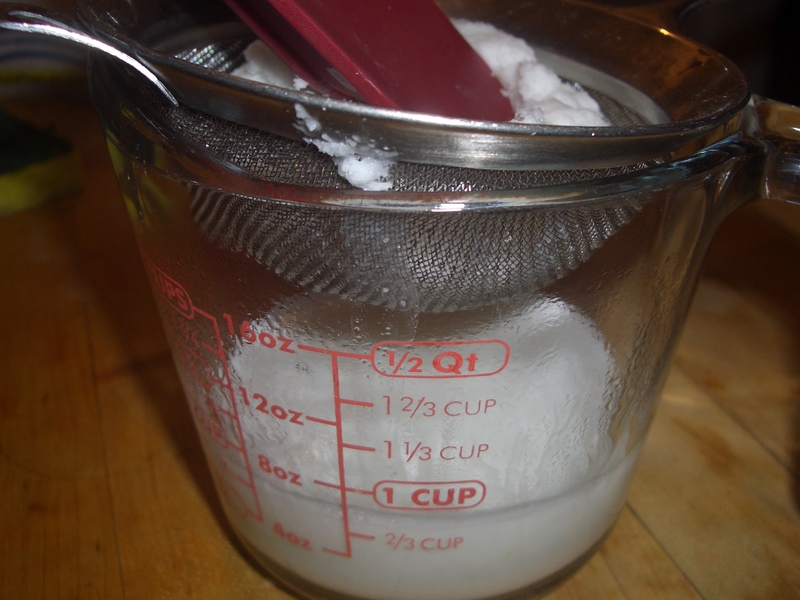 I do admit the down side is that you have to wash the blender and strainer and measuring cup and spoon/spatula – buy hey, I have a dishwasher – so it’s not soooo difficult and the fringe benefit is: I make coconut flour out of the used coconut – but that’s for another post. What about the flavor? Although it’s coconutty (duh), it’s less intense than the canned kind, but more flavorful than the boxed ones. If you want more intense coconut flavor from homemade, double the amount of coconut in this recipe. Where do I get my coconut? 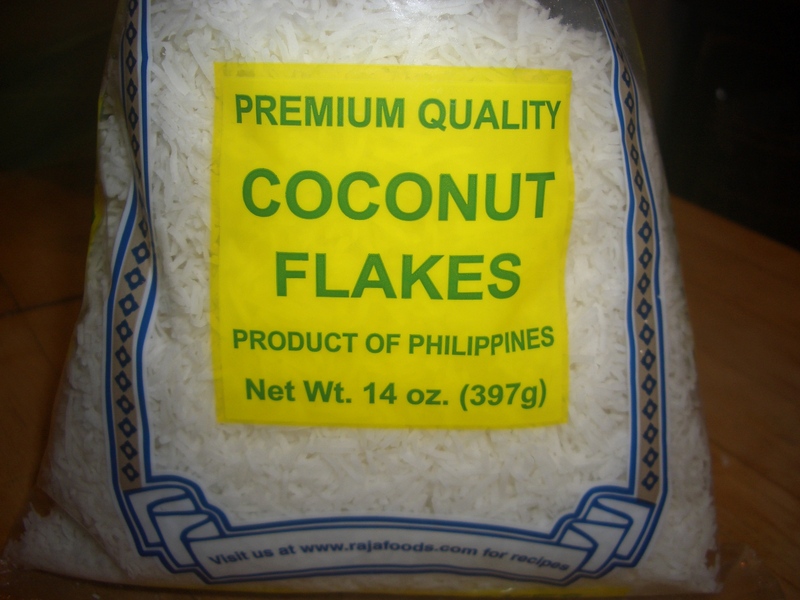 This is very important…I do NOT use the shredded coconut you find in the supermarket because that stuff is sweetened. 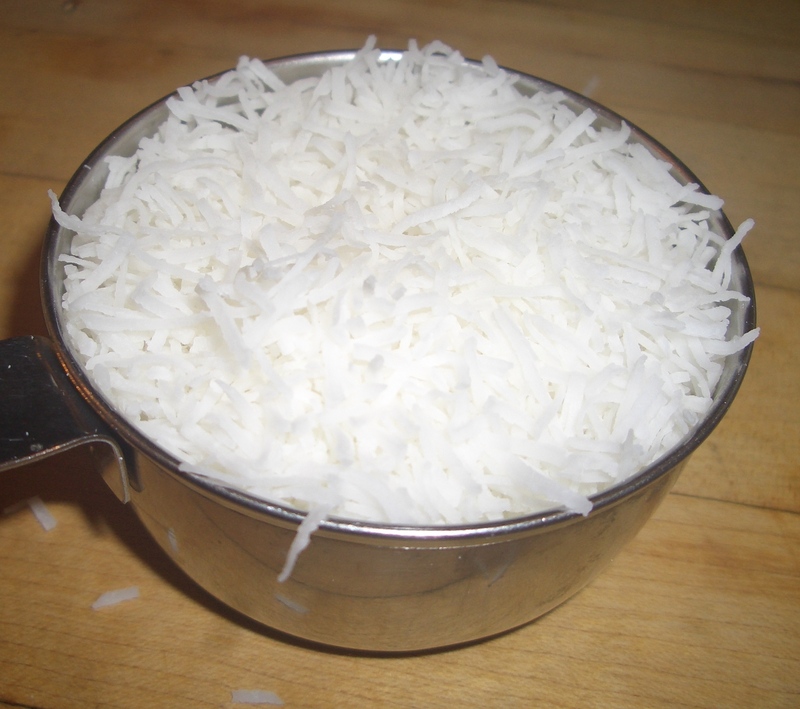 You have to use unsweetened shredded (or flaked) dried coconut. You can find it in health food stores or ethnic markets that sell Indian or Asian ingredients…or online, of course. Speaking of not using sweetened coconut, if you are buying canned coconut milk be sure you’re not buying the sweetened one which is like sweetened condensed milk. The Asian brands are generally unsweetened as is the Goya pictured at the top of the post. Just check the label the only ingredients should be coconut and water. 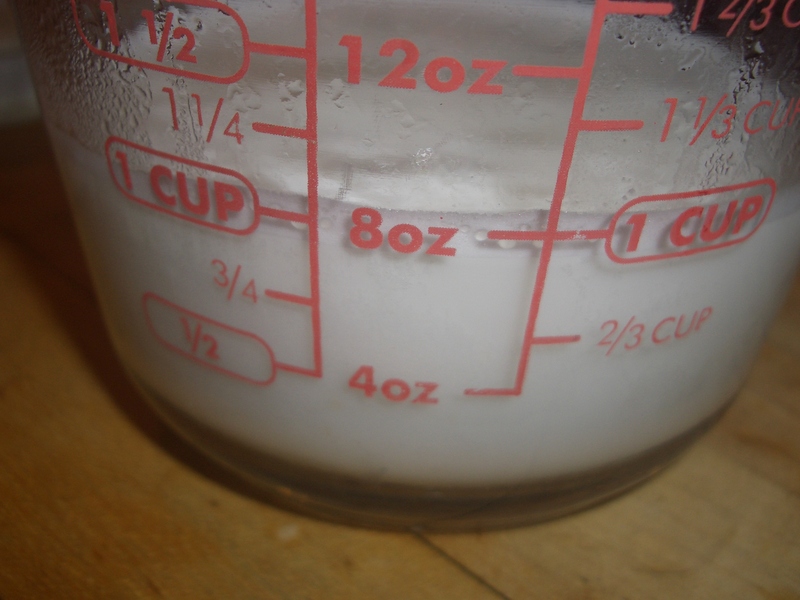 When you’ve made the coconut milk you will see that it separates after it stands for a bit with the cream rising to the top (just like real milk). You can remove the cream with a spoon and that will leave you with “light” coconut milk. 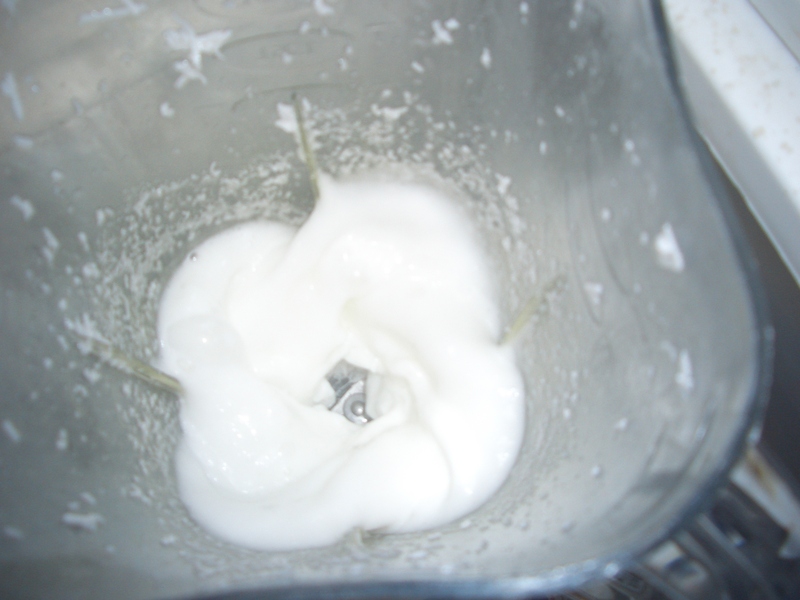 The cream can be whipped to make a non-dairy topping (also for a future post). I used the full fat coconut milk in the recipe I posted last week for the Butternut Apple Soup and I will be using it in my Pumkin Pie Tartlets coming in the next week or two. I feel like a real pioneer when I make my own ingredients from scratch. Try it, it’s fun. Place the coconut into a blender container. Add 1 1/4 cups of the water. Cover and process on high 2 minutes. 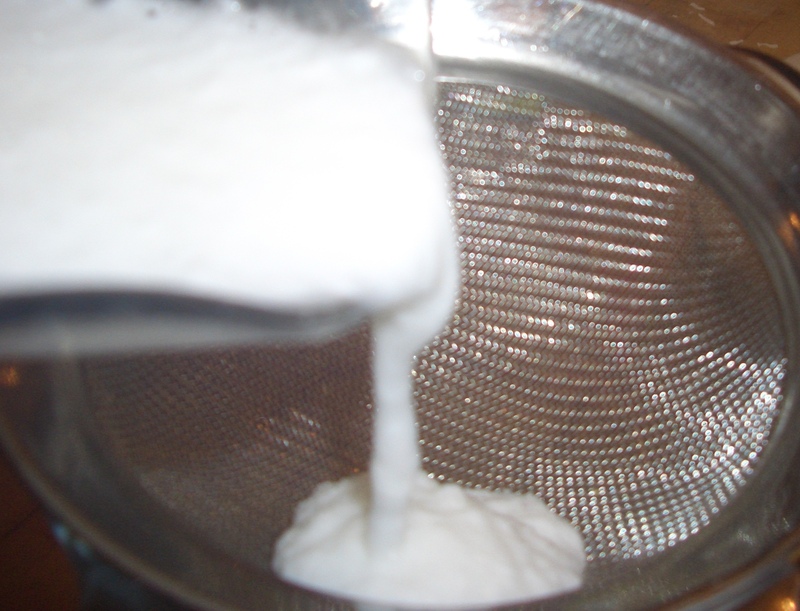 Pour in batches through a fine strainer, pressing with the back of a large spoon to extract at much liquid as possible – reserve the pressed coconut. 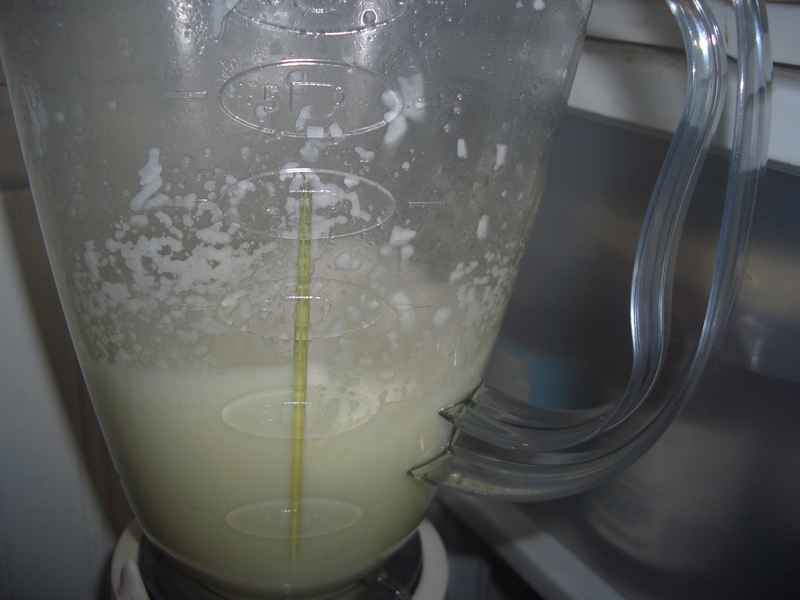 Continue until all the liquid in the blender has been used. 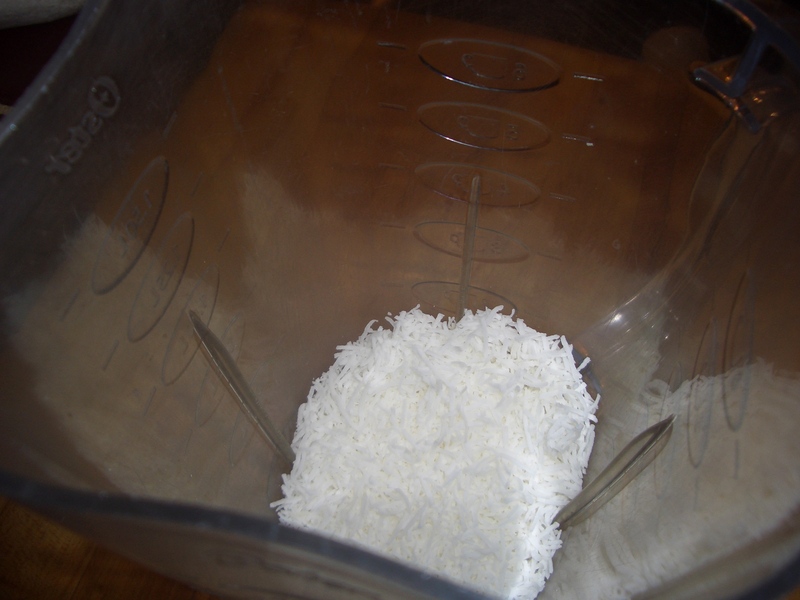 Returned the pressed coconut to the blender and add the remaining 1 cup water (you may have to reheat it). Cover and process on high 2 minutes. Repeat the straining and pressing, this time discarding the coconut. 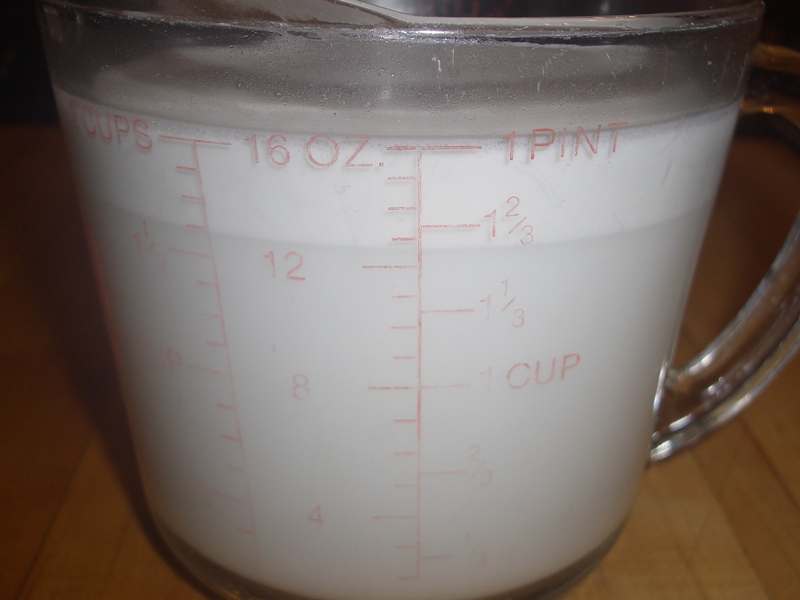 At this point you have coconut milk, but it may have a little coconut still in it, which I am usually okay with, but when I want it completely “smooth” I pour the coconut milk through an even finer sieve. As the coconut milk sits the “cream” will rise to the top. Stir the milk before using. Add 2 1/2 cups of the water. Cover and process on high 2 minutes. 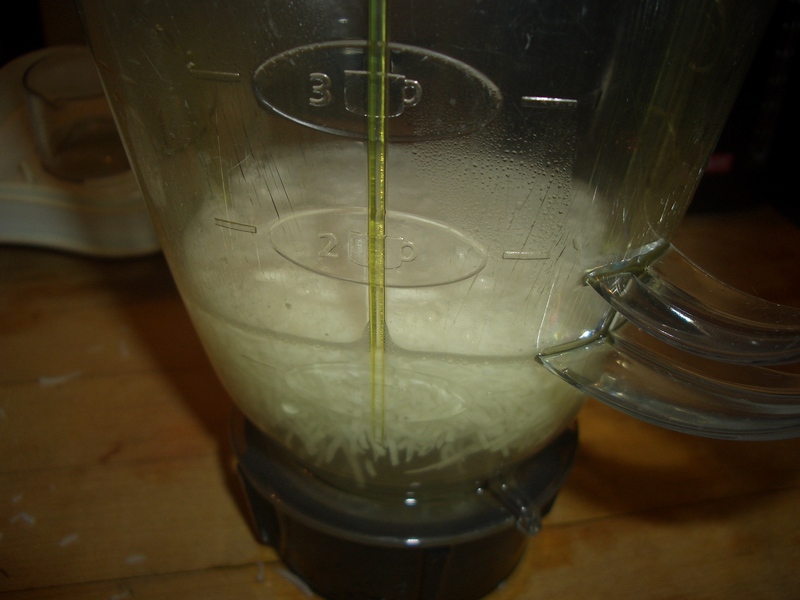 Returned the pressed coconut to the blender and add the remaining 2 cups water (you may have to reheat it). Cover and process on high 2 minutes. Repeat the straining and pressing, this time discarding the coconut.